Samantha met Minister KT Rama Rao at Metro Rail Bhavan, Hyderabad. During the Meeting, Samantha appreciated the Minister’s initiative in supporting the Hand loom art; Samantha enquire about the state policies and initiatives taken by Telangana State Hand loom Weavers Cooperative Society ( TSCO ) in promoting Hand loom. Samantha explained the various ideas she has for promoting the Hand loom in different forms. She also told the Minister she has a special bond with weaver community and Hand looms. Samantha told she has researched about the various hand loom clusters in the State of Telangana and also showed a piece of handwoven cloth she has brought from Karimnagar weavers. Samantha outlined some of her plans about how value-addition can happen to increase the sales of hand looms. She explained to Minister about some specific value additions to works of Gadwal, and Pochampally hand looms, which can greatly enhance the salability of these fabrics. Samantha also discussed about how better quality cloth can be produced from Sircilla Power looms, by bringing in newer digital technologies. 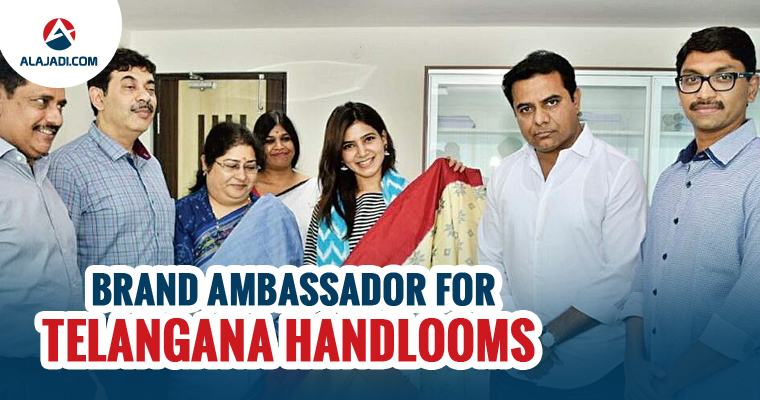 Minister KT Rama Rao appreciated and thanked Samantha on extending her support to Hand loom and also asked her to be the brand ambassador for Telangana hand looms. 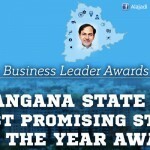 On Minister’s request, Samantha accepted to promote Telangana Hand looms. Minister gifted her a Pochampally Saree and Stoll. TSCO director Shailaja Ramayyar, Industries and IT Secretary Jayesh Ranjan, G.Vamshi Raju, promoter of Visista Advisory and other officials were present during the meeting.